An Ankara court has stopped the prosecution process regarding the police officer who shot and killed Ethem Sarısülük during a Gezi Park protest because it does not have permission to try the officer. The investigation into A.Ş. was opened without being granted “permission to prosecute” the suspected killer, the court ruling said. Upon the ruling, the prosecutors will have to send the files to the provincial administration board, which is under the authority of the Ankara Governor’s Office, to ask for an official permission to press charges against the police officer. If the board’s decision is negative, Sarısülük’s case will be closed without A.Ş. going to trial. 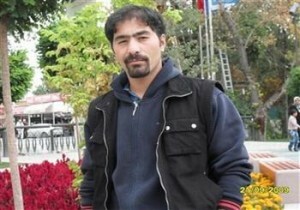 Sarısülük’s family will then have the right to file an appeal to the administrative court as a last resort. A.Ş. was granted police protection after he reportedly received death threats following a court’s decision to try him without arrest. The lawyer representing Sarısülük’s family, Kazım Bayraktar, told Hürriyet that their hopes for a fair trial had faded. Bayraktar said they would either file an individual complaint to the Constitutional Court or go directly to the European Court of Human Rights (ECHR) on the grounds that their right to a fair trial had been violated. “For a permission to be asked, the crime in question had to be related with the duty. However, that a policeman shoots someone dead after kicking him is not connected with his duty. If there were an order to shoot, this could be disputed. But there was no order to open fire,” Bayraktar said, stressing that the court’s decision was unlawful. Bayraktar also emphasized that the administration, the government and the judiciary had tried to protect the suspect since the beginning of the case. “Now the ball is once again sent to the administration. The provincial administration board is bound to the Governor’s Office, hence to the political authority. If it doesn’t give permission to press charges, we will appeal to the administrative court. But it will be a process that will take time,” Bayraktar said. The European Union and many human rights organizations had criticized Turkey over police impunity. This entry was posted in News and tagged Ankara, anti-government protests, Gezi Park, Police brutality, police violence on 17 July 2013 .